Dahlberg completed his PhD at the University of Chicago in the mid-1960s, and then did postdoctoral research in Cambridge, England and in Switzerland, working with Nobel laureate Fred Sanger, as well as with investigators in Geneva and Zürich. As a post-doc, he developed and used methods to analyze structures of RNA molecules. At the university, Dahlberg continued to do research on RNA and DNA. He acknowledges the importance of chance in being a successful scientist. By happy coincidence, he lived near Howard Temin, who later won a Nobel Prize for his discovery of an enzyme, reverse transcriptase, that is essential for the replication of many viruses that cause cancers and infections such as HIV-1. Although he focused on curiosity-driven research, Dahlberg has had a keen interest in seeing discoveries put to practical uses. In the early 1990s, he realized that an enzymatic reaction being studied in his laboratory could be very useful in detecting genetic mutations. He and his co-workers worked with the Wisconsin Alumni Research Foundation (WARF) to obtain patents on the technology and enzyme. Dahlberg retired from UW-Madison in 2005 and is now an Emeritus Professor of Biomolecular Chemistry, where he still runs a small laboratory. 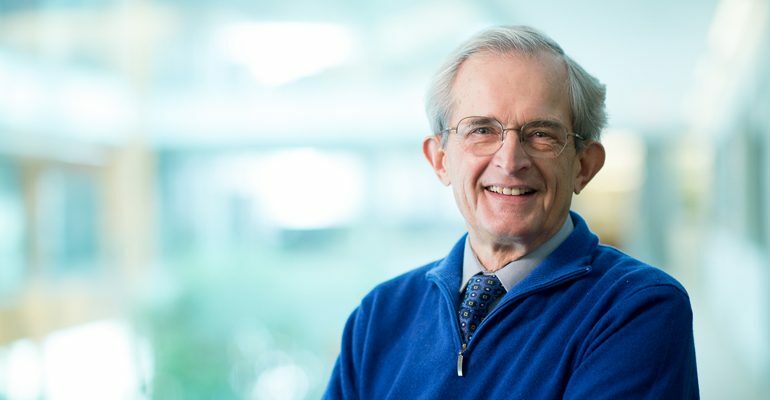 In 2010, Chancellor Biddy Martin asked him to be the chancellor’s representative on the Board of Directors of the Morgridge Institute for Research, a position that he still holds. When the Executive Director of Morgridge resigned in 2012, he was asked to serve as Interim Director.